Last year myself, BarryM and Alpina Jim organised an inpromptu meet up at Liphook services on the A3 - granted not the most glamorous location but it worked! It was a nice little meeting to grab a coffee and chat Alpina for a couple of hours with friendly faces. We are looking to meet up again and would like to openly welcome other owners around Berks/Surrey/Hants area to join us. To avoid holiday clashes at this time of year perhaps September is a better bet to try and sort something? So my suggestion is Sunday 3rd September. If this date isn't good then we can look at alternatives. Happy to consider more prestigious venues too if the numbers justify it, but if the numbers stay as a handful then maybe we'll stick with Starbucks! If you're up for it, please cut and cut and paste this list in your reply adding on your name and chariot. Last edited by Metrics on Sat Aug 19, 2017 1:06 pm, edited 2 times in total. We can make it longer Brian, maybe find a suitable pub for food? Metrics wrote: We can make it longer Brian, maybe find a suitable pub for food? I'm also to do a week later. I would be happy to attend, if longer and somewhere which is not a motorway services. We have our pub meets at the Fox North Waltham, good food and accommodating of BMW and Alpina owners. Just a thought. I am not sure at the moment as I am off to Cornwall to see relatives either that weekend or the following one. I will let you know when I know for definite. Would like to attend, 3rd is good for me but the 10th or 17th is not as I am away in France. Would prefer not to be in a service area, but I understad finding a different venue may prove harder. BMW E46 M3 SMG Coupe - stripped out track day weapon. TVR Chimaera 400 - Turbocharged - Just mad and insanely quick! Porsche Cayenne GTS 4.8, Oops, the dark side has landed! Too little time...Too many cars! Norrie wrote: I would be happy to attend, if longer and somewhere which is not a motorway services. 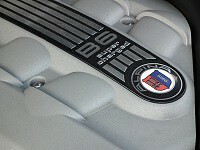 We have our pub meets at the Fox North Waltham, good food and accommodating of BMW and Alpina owners. Just a thought. Cheers Norrie, sounds like a good suggestion. Suggest we go here if ok with everyone? I've edited the original post to suit. What time shall we go for? 3pm? Sadly, once September arrives, Sundays are not possible for me until the end of the rugby season as I coach every Sunday.